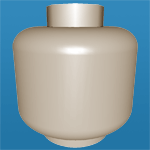 It looks like this Part has been superseded by LEGO Part 59900 Cone 1 x 1 [Top Groove]. Lego mapping includes design ID 6188 for transparent (PC) parts and 55525 for Metallic Silver version. Click on a colored part below to see the Sets and MOCs that use part 4589 Cone 1 x 1 [No Top Groove] in that color. You can find an overview of all LEGO Colors here. Yep, the redder looking one is being replaced slowly. 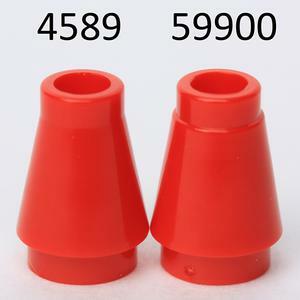 There are 2 Mold variations of part 4589 - Cone 1 x 1 [No Top Groove] in the database, in use between 1985 to 2016. See Molds and other related Parts.